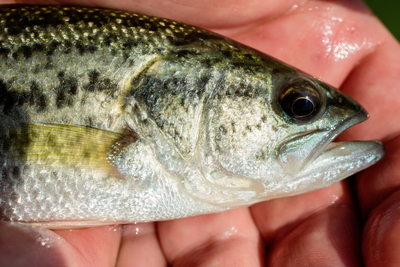 A new study of stress responses in largemouth bass found that those that are less likely to strike at a fishing lure also tend to experience higher cortisol levels after a stressful encounter. CHAMPAIGN, Ill. — Take a fish out of water and its stress hormones will go up. Adrenaline and noradrenaline, the “fight or flight” hormones, peak first, followed more gradually by cortisol. A new study finds that largemouth bass whose cortisol levels rise most after a brief bout of stress are inherently harder to catch by angling. The discovery, reported in the Journal of Experimental Biology, could affect recreational fishing, the researchers said. If anglers are primarily capturing fish whose stress levels dictate whether they are likely to strike at a lure, “we could potentially be selecting for fish that are harder to catch,” said University of Illinois natural resources and environmental sciences professor Cory Suski, who led the new research with Illinois Natural History Survey research scientist Jeffrey Stein and graduate student Michael Louison. 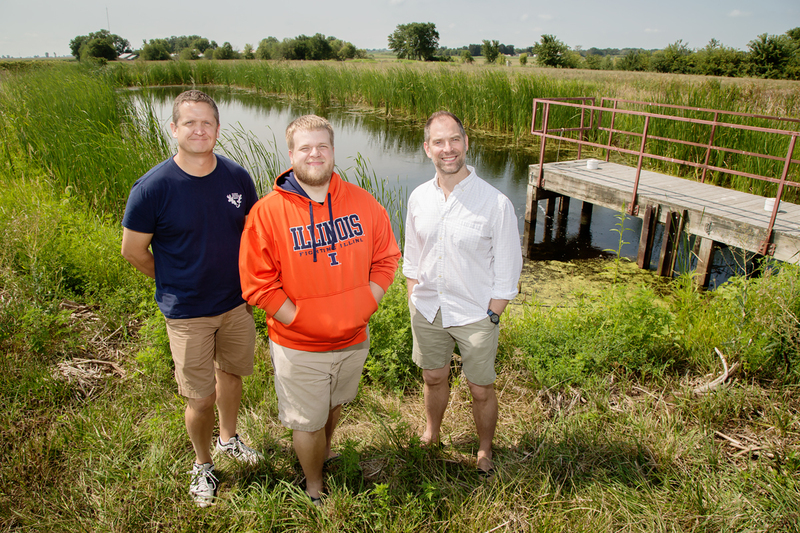 Illinois Natural History Survey research scientist Jeffrey Stein, left, graduate student Michael Louison, center, and natural resources and environmental sciences professor Cory Suski found a relationship between fish stress responses and catchability. This is called fisheries-induced evolution, which occurs when humans capture fish with specific traits, leaving behind genetically distinct survivors, the researchers said. For example, studies have shown that by taking only the largest fish, commercial fishing operations may alter the growth patterns of the fish that don’t get caught – leading to smaller fish, on average, in the population. Stress hormones, including cortisol and adrenaline, participate in a number of brain and bodily functions, including “gearing up the body to face a challenge,” Louison said. Previous research has found that animals that show a very high cortisol response often will have a relatively low adrenaline response – and vice versa, he said. For the stress test, the team took a blood sample from each fish, exposed the fish to the open air for three minutes and then returned it to a tank, where it recovered for half an hour before a second blood sample was collected. The researchers compared cortisol levels in each fish before and after the air-exposure challenge. A separate trial measured the fish’s metabolic rate. The researchers then released the fish into a small pond and commenced seven days of two-hour angling trials, using a variety of lures. They found no correlation between a fish’s metabolism or willingness to explore and its likelihood of being caught. But they did see a substantial association between stress-related cortisol levels in the fish and their likelihood of being captured by angling. Post-stressor cortisol concentrations were 48 percent higher in the fish that were never caught than in those that took the bait. The paper “Hormonal responsiveness to stress is negatively associated with vulnerability to angling capture in fish” is available online and from the U. of I. News Bureau.